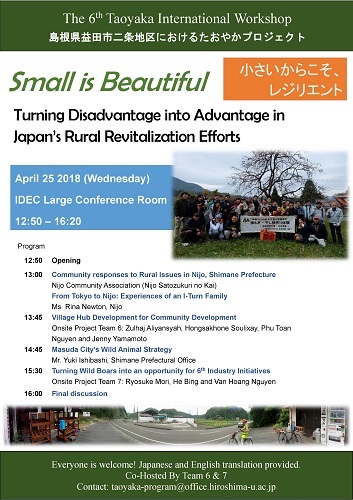 The 6th Taoyaka International Workshop will be held as follows. Everyone is welcome! Japanese and English translation will be provided. Please register by email with your name and any institutional affiliation.